anneliese kliewer: laugh out loud. am i really posting pictures of my toilet paper roll? bentley is infamous famous for "stashing" things. sippy cup (from the day before), at the bottom of the laundry hamper. cell phone, into the kitchen trashcan. his tooth brush, location still to be determined. 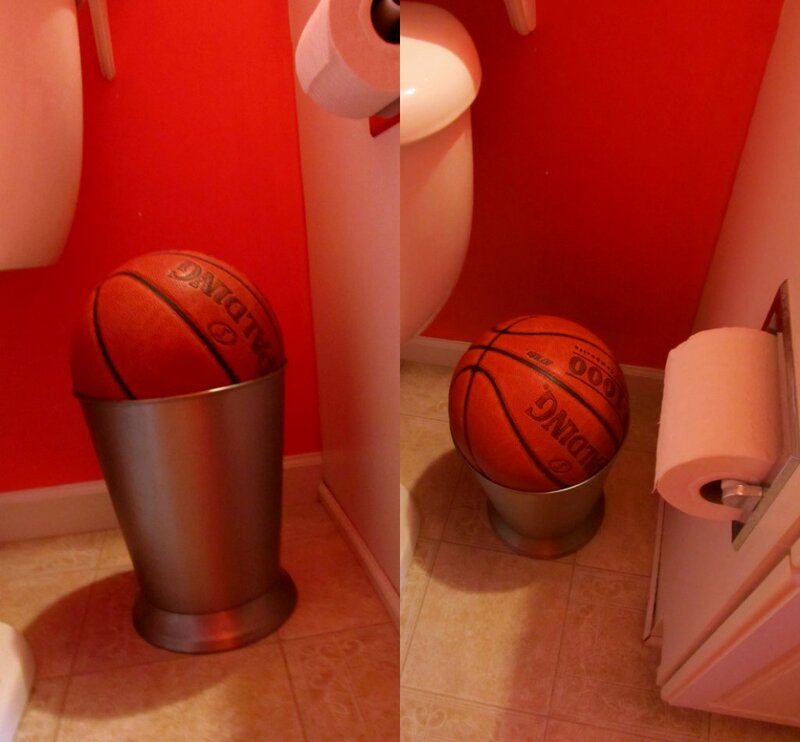 but dads basketball did not get by me, "stashed" in the bathroom trashcan. we are off to the first football game of the season! little sister is a cheerleader. i feel a little cooler just saying that. "hidden" in his eyes. That's so "B"! That is LOL. So funny to read. He sounds very busy.